Wait, you haven't heard of these books I'm talking about? Well, that's probably because they're all from the past--2004, to be exact. Now, I haven't totally checked out on ongoing series for 2016--in fact, one of my next posts will be about the very few series I think are worth taking a chance on this year--but right now is time better spent on acquainting myself with a whole mess of back issues that've been taking up good storage space in my closet. 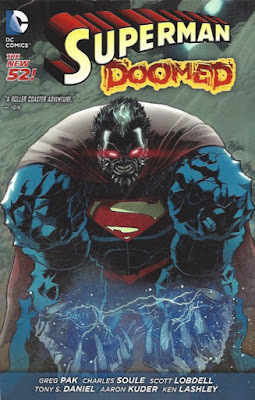 In mid-2014, history repeated itself in having one fight between Superman and Doomsday lead me back to the back issue bins. The last time, it was the famed "Death of Superman" storyline that prompted me to buy up John Byrne's Superman and Action Comics, as well as Marv Wolfman & Jerry Ordway's Adventures of Superman. In that same sweep where I sold off Deadpool, I similarly sold nearly all of those books. The storyline that launched a collecting crusade. This time, the "Doomed" storyline reawakened my fascination with the Big Blue Boy Scout with even greater fervor. What really sparked that fire was my remembrance of a piece of Superman lore I found very interesting but never actually read. John Byrne's final storyline prior to his departure involved Superman facing Kryptonian super-criminals from a pocket dimension. In the end, he rationalized that the only way to stop them was to expose them first to their version of Gold Kryptonite, which removed their powers, and then kill them using their version of Green Kryptonite. Over the subsequent months, in stories crafted by Roger Stern, Kerry Gammill & Jerry Ordway, Superman doubted his decision. At the same time, the vigilante called Gangbuster returned to the streets of Metropolis after having been gone for months due to a grave spinal injury. Eventually, we discovered this wasn't the original Gangbuster, but rather Superman, in the midst of a nervous breakdown which was the direct result of his doubts over killing those Kryptonians. The revelation of his new costumed identity led to his temporary self-exile into space. There, he eventually met the Kryptonian Cleric and the weapon called the Eradicator, the latter of which would cause years of trouble. 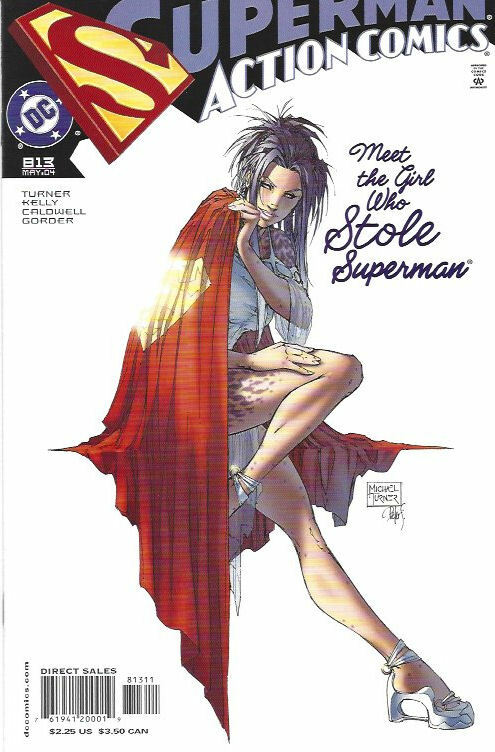 So, some eBay sales gave me a goodly bit of the run I wanted, which included everything up to and including the "Death of Superman" storyline. But as the auctions piled up and gave me a handful of issues beyond my intended end point, I decided "the hell with it!" and kept on trucking through more auctions and a few big $1 sales (especially the big basement sale at New Dimension Comics near Pittsburgh, PA). I filled a long box with Superman comics, 2,000 miles from home, at about 75 cents each. (Just imagine the difficulty in getting them to my home!) Finally, I achieved a satisfactory end point with the final issues of Superman's series before the New 52 began. Somewhat ironically, a short time after I completed this Superman run--encompassing four long boxes and well over 1,000 individual issues--DC announced the return of the Post-Crisis Superman in Dan Jurgens and Lee Weeks' Convergence: Superman, a two-issue miniseries released during the larger Convergence event. 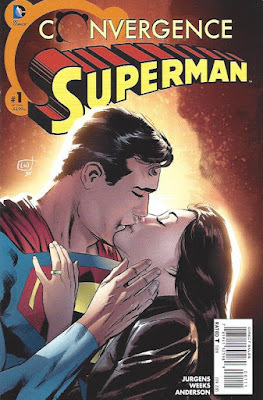 That larger event left the Post-Crisis Superman "stuck" in the current iteration of the DC Universe, which begat the current Superman: Lois & Clark miniseries, also by Jurgens & Weeks. That book is currently the only DC comic I follow, for obvious reasons. 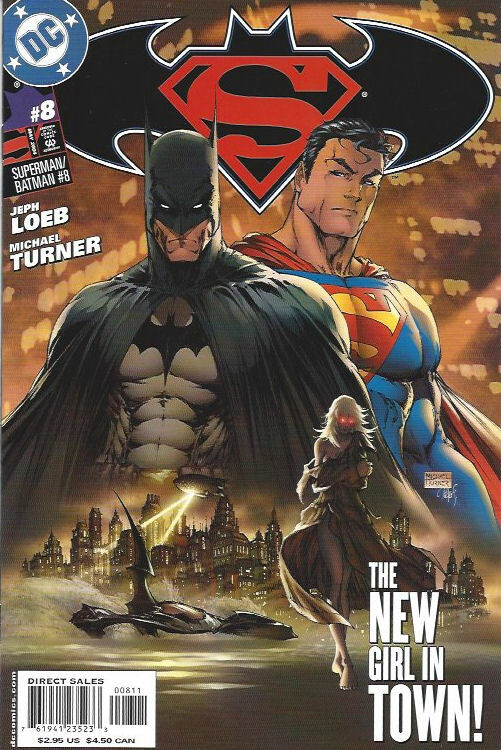 More Turner, in the storyline that led to "New Krypton." So there you go. 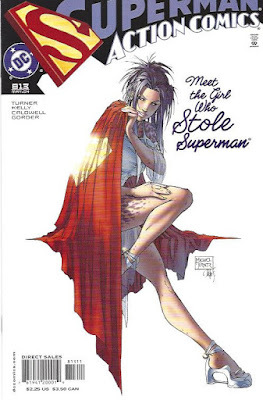 I've actually gotten a small feeling of dread as I've begun reading 2004's swath of Superman series. In no small part, it's because of Superman/Batman. 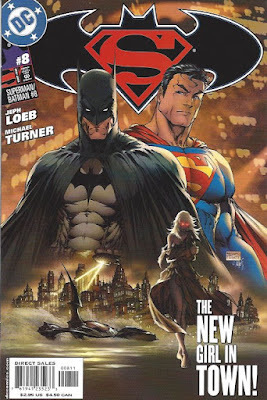 My trepidation isn't due to Jeph Loeb's writing, or the connection to the upcoming feature film; rather, it's because the series' opening arcs form the basis for "New Krypton," the immense storyline that began in late 2008 and continued through mid-2010. The return of the various colors of Kryptonite, as well as the "true" Supergirl, Kara Zor-El, foreshadow all that Geoff Johns, Sterling Gates & James Robinson accomplish throughout that year-and-a-half. From there, it's only a little over a year before the start of the New 52. I suppose it's a bittersweet feeling settling in right now. But yes, to be fair, I have about 7 more years of Superman stories left to read. I've got "Our Worlds at War" and "Emperor Joker" behind me, and Infinite Crisis and yes, "New Krypton" still to come. It ought to be a fun ride. If nothing else, it'll provide a different perspective from my intermittent reading of these books during the first go-round. How about for everyone out there? Are you disenchanted with the modern Big Two? And if so, what books are you reading to satisfy your superhero fix?